Suitable from birth to up to 20kg per child. The Chicco Echo Twin Stroller is a lightweight frame suitable for children aged from birth to 15 kg which is the equivalent of a 3-4 year old. 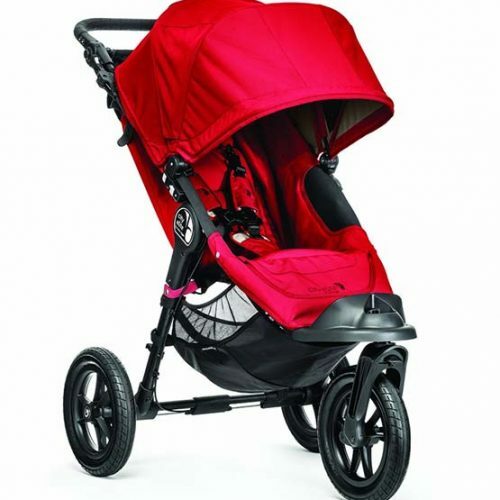 With twin padded handles, independent fully adjustable hoods, and fully padded seat this twin stroller provides a perfect pushing position, comfortable with a firm and sturdy grip, each child sheltered from the various weather conditions and a comfortable and secure ride for all involved. There is a 5 point adjustable harness with a secondary position for adjusting the safety and security of your child according to their height. To support your child’s growth there is included an adjustable foot rest which holds smaller legs upright and flat whilst longer legs are then supported at the calf muscle whilst they reach for the longer foot rest. A full swivel and lockable wheels facility, providing a sturdy and secure foundation for both sharp turns in shops and rough terrain such as sand, rocks and gravel. 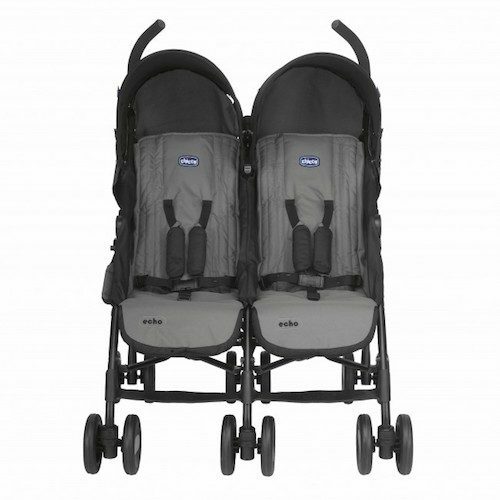 This twin pram system is perfectly suited for entering single doorways. 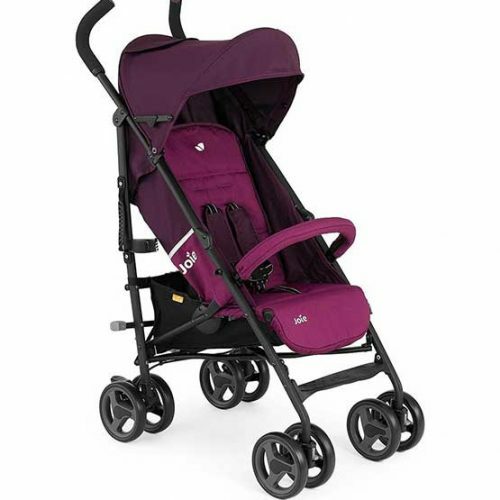 For shopping bags, handbags and baby bags there are two basket facilities at the back of the pram and for periods that your children may feel tired there is a full reclining mechanism allowing the back rest to recline fully. Included as part of the main canopy there is a zip at the back which when enjoying a hot or warm day this zip can be opened allowing full airflow to your child. 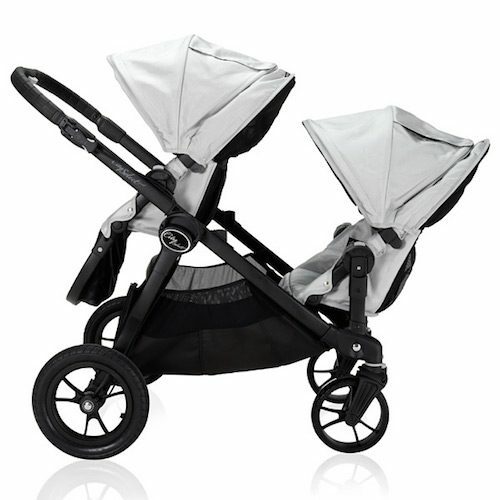 When folding down your twin stroller there is a simple mechanism at the back using your foot and then a slight push down on the right, push forward and your pram will fold down and automatically lock on one side making it compact and easy to transport. 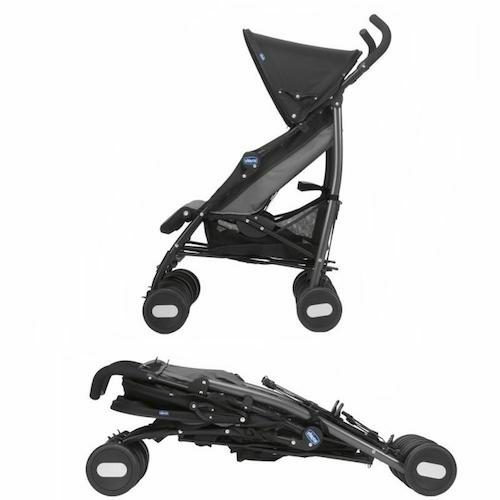 For additional support this stroller will stand freely when stood upright providing the perfect solution when putting your child in and out of the car. 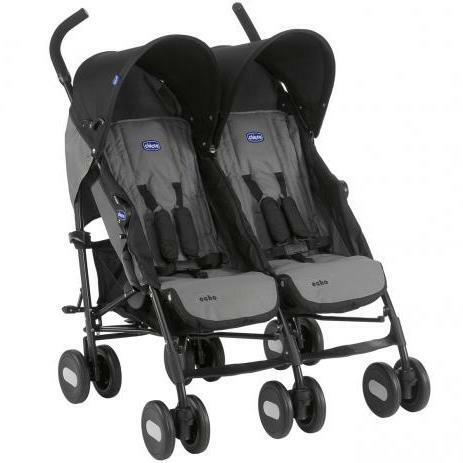 Both backrests can be reclined flat and the leg rests are adjustable to ensure maximum comfort. Front swivel wheels for easy handling. Practical quick closing autolock mechanism. 5-strap harness: extra safe retention for infants. Soft shoulder straps for your child’s safety. Spacious easy access storage basket.